In this article, we will give you a brief overview of the evolution of color fonts, different color font formats available and you’ll also find a collection of free as well as premium color fonts that you can download and use in your projects. Color fonts represent an evolutionary step for digital typography. Most of the fonts that we are familiar with do not hold color information, they contain vector shapes that are by default rendered as black text. To add color, you need to do it manually. On the other hand, color fonts, also known as chromatic fonts or multicolor fonts contain color information in addition to shape information. Color font technology has allowed designers to bring rich graphic features like color, gradients, and textures into a font file. The emojis that we use on our smartphones and computers are shipped as color fonts. The article It All Started With Emoji on CSS-Tricks nicely explains how the rise in the popularity of emoji and their inclusion in Unicode led to the development of color font technologies. OpenType is the most used font format on web and across different platforms (Windows & Mac). All the major players including Apple, Microsoft, Google, Adobe and Mozilla developed different solutions to extend the OpenType font format to include color glyph information. You can find more technical details about all these font specifications on FontLab blog. All these formats are part of OpenType specification. So, color fonts are still .otf, .ttf or .woff font files but they have different internal structure (font tables) with additional data to display multi colored glyphs. In 2016, the OpenType-SVG font format developed by Adobe and Mozilla became the industry standard to support color fonts. OpenType-SVG format adds SVG capabilities to standard OpenType font format. This allows type designers to store vector shapes with colors, gradients and even bitmap images as SVG data inside the font file. All of this information makes the file size larger than regular OpenType fonts. In browsers and apps that do not support SVG color fonts, the fonts will fallback to monochrome glyphs. You can also use ChromaCheck by Roel Nieskens to check which color font formats (sbix, colr, cbdt, ot-svg) are supported in a browser. 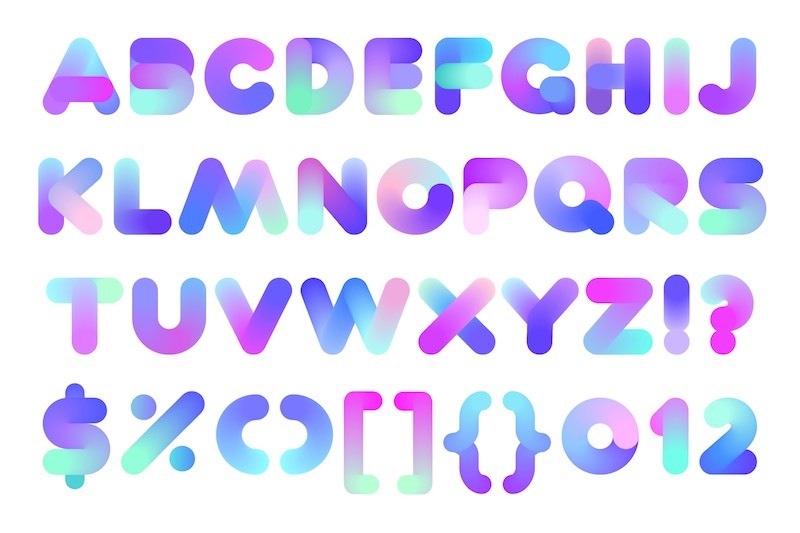 In this section, you’ll find collection of OpenType-SVG color fonts that you can download and use in your projects for free. All these fonts come with free personal and/or commercial use license. 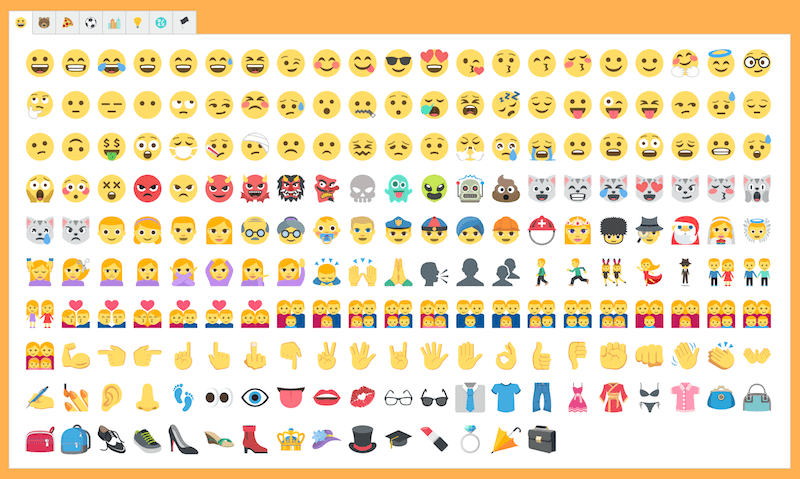 EmojiOne Color is an open source emoji font built by Adobe. At their color font Typekit, you can find details of the color fonts from Adobe Type. Trajan Color Concept is another SVG color font from Adobe and it is available on Adobe Typekit. Twemoji is color Emoji SVGinOT font open-sourced on GitHub by Twitter. Inspired by the iridescent marine mollusk abalone shell, Abelone features wide characters with smooth blending turquoise and purple gradients. Created by graphic designer Maria Grønlund, Abelone was released for free as a part of #ColorFontWeek by Adobe and Fontself in Oct 2017. The font is still available for free download and comes with personal and commercial use license. Matt Lyon’s Playbox was another font released as a part of #ColorFontWeek by Adobe and Fontself. 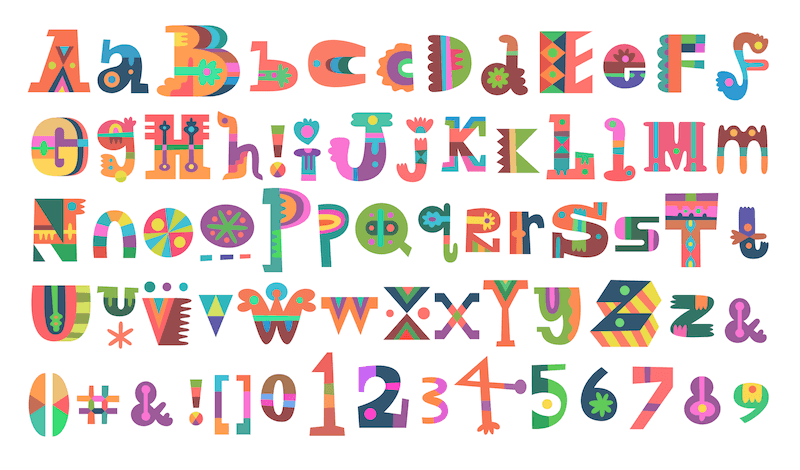 Varied colors, letter shapes and all the motifs that make up each character give Playbox a whimsical and playful feel. 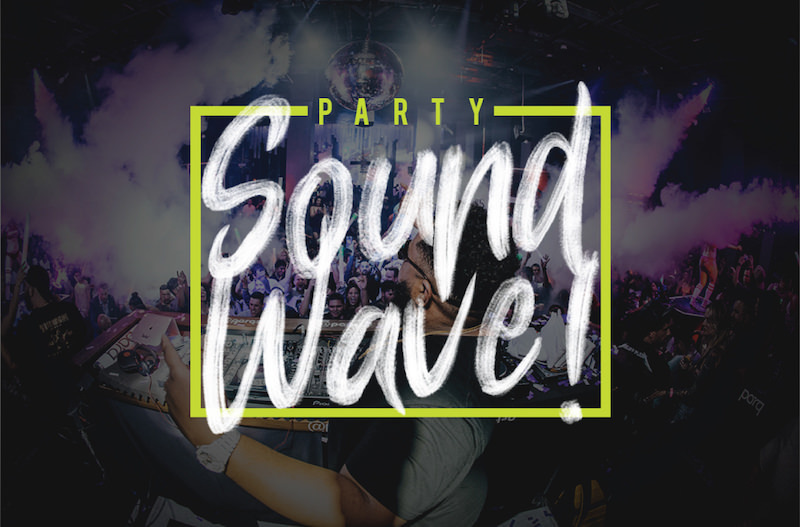 The font is available for free download and comes with free commercial-use license. 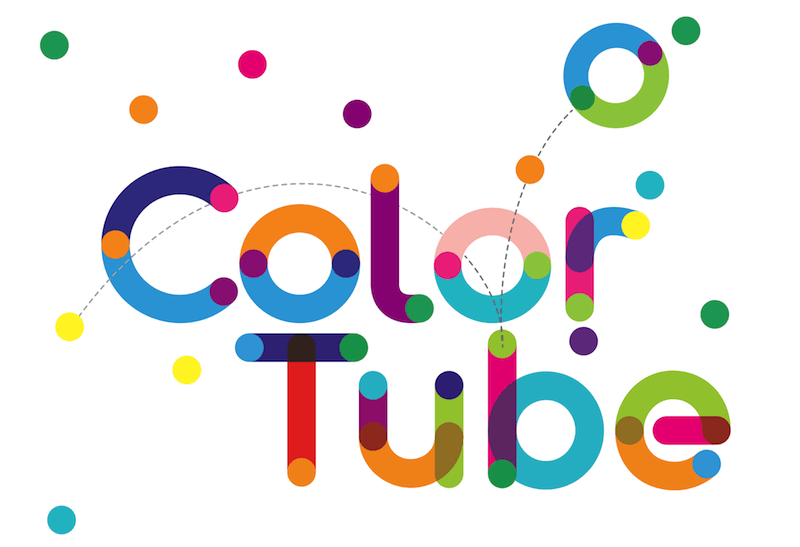 ColorTube is a vibrant multi-colored rounded font created by Ivan Filipov. The font supports basic Latin character set and also includes some alternate glyphs. ColorTube OpenType color font is available for free download under CC BY 4.0 license. Bungee, designed by David Jonathan Ross, comes in many different colors and styles including horizontal and vertical versions. Bungee is also available in three formats of true OpenType color fonts: OT-SVG, COLR/CPAL, and SBIX. 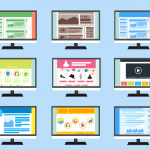 Color fonts have usually big file sizes which is a major concern when using them on websites. While building Bixa Color, a chromatic wood type font for Novo Typo, Roel Nieskens kept this in mind and optimized the font for web use, the result was a respectable 50kB WOFF font file. 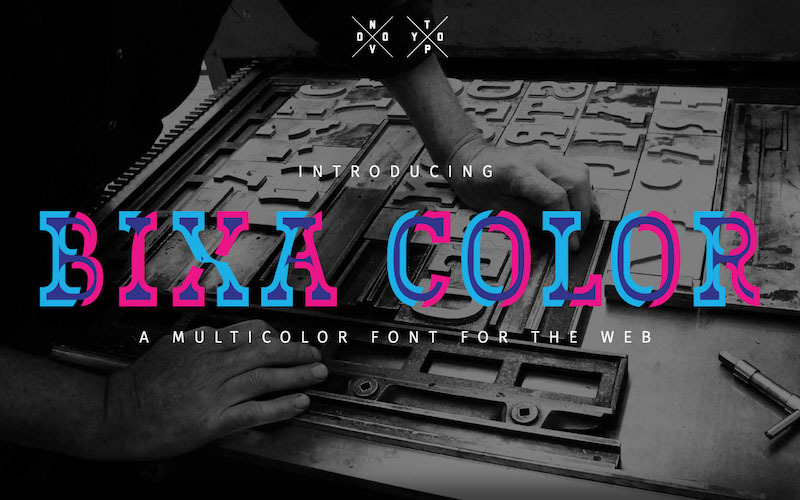 Bixa Color comes in .otf and .woff and .woff2 font formats. Each character is made up of three colors and before downloading, you get an option to select what these colors would be. 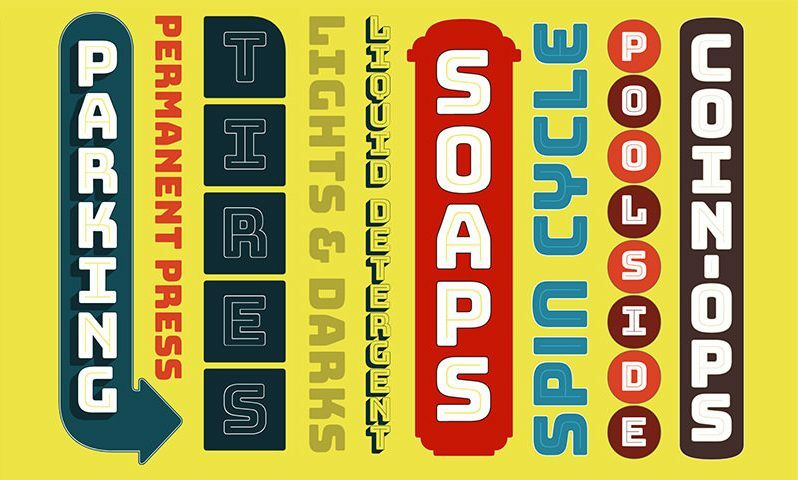 Inspired by mid-century illustrations, Blockino is a blocky color font from Fonts.lol, a type foundry dedicated to creating high quality OpenType-SVG color fonts. Blockino is an uppercase only font, and its lowercase acts as uppercase alternates. 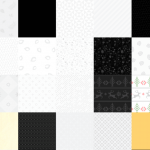 Blockino works best in headline, quote, or as an abstract pattern! 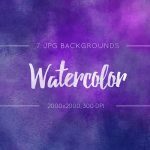 Free for personal use, it comes with 8 pre-made color styles you can choose from before downloading. You can buy commercial use license for the font from Creative Market. LetterBoard is another free color font from Fonts.lol type foundry. It draws inspiration from changeable letter-board sign lettering and features tall, condensed characters with beveled edges. An uppercase only font, it contains the most common English characters and glyphs. 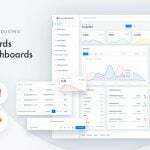 Like Blockino, LetterBoard is also free for use in personal projects, you need to buy commercial use license. Macbeth is a free hand drawn OpenType SVG font from Oghi Novianto. Using the latest OpenType-SVG technology, the font preserves the high resolution brush detail of the original handwritten letters. It comes with full set of uppercase and lowercase characters, numbers, punctuations and a few extra marks. An energetic, aggressive font, Macbeth is ideal for use on displays, movie titles or album covers. Gilbert is a free font family created to honor Gilbert Baker, the designer of the iconic Rainbow Flag. Gilbert comes as both a color font (OpenType SVG) and a standard vector (OTF) font. 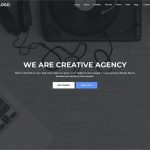 Since SVG-in-OpenType is a relatively new font technology, there are not many free fonts available, and many of these free fonts come with personal use license only. Therefore, we have included some of the top selling color fonts from Creative Market in our collection as well to give you more options. 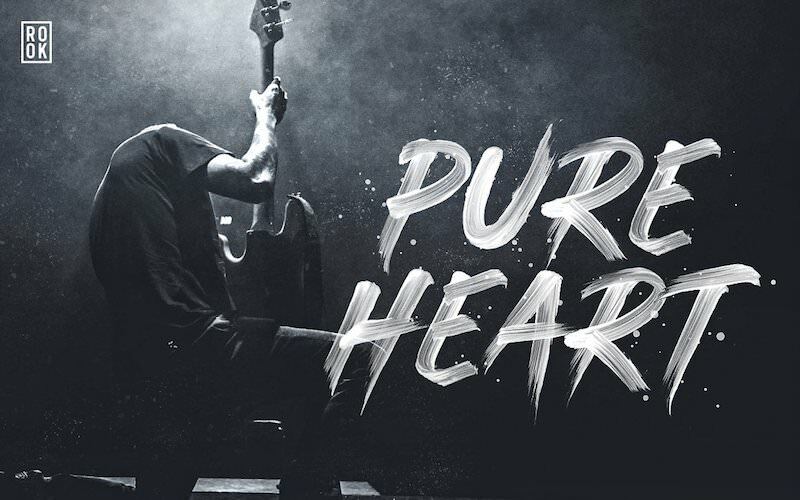 Designer Greg Nicholls has used actual images and transparency effects to achieve a realistic hand painted look for his Pure Heart brush font. On purchasing the font, in addition to SVG color font you’ll also get regular OTF vector font with different texture details plus each character in the OpenType SVG font is also supplied as a Photoshop brush. 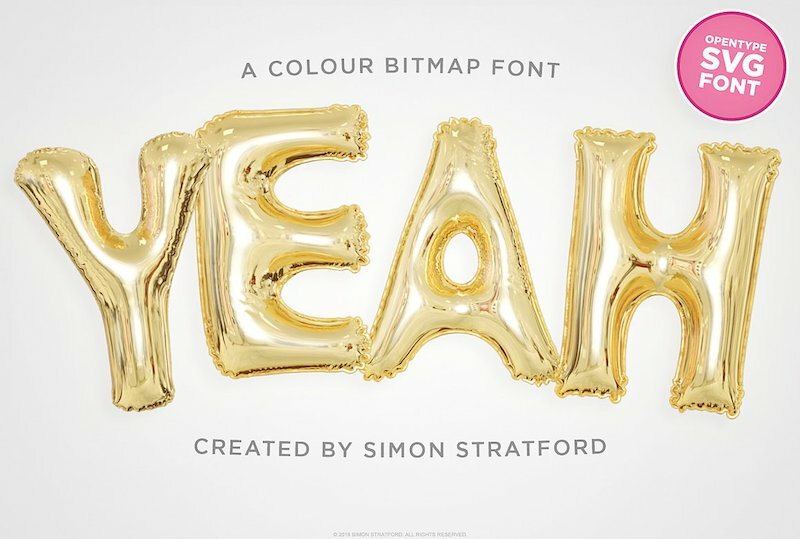 Yeah is a color bitmap font with 3D foil balloon (mylar balloon) effect, perfect for party flyers, birthday cards, weddings, social media banners and so much more. Created by Simon Stratford, Yeah comes in three styles, gold, silver and traditional black vector font. A unicase font, Yeah includes uppercase characters, numbers, basic punctuations and some symbols. 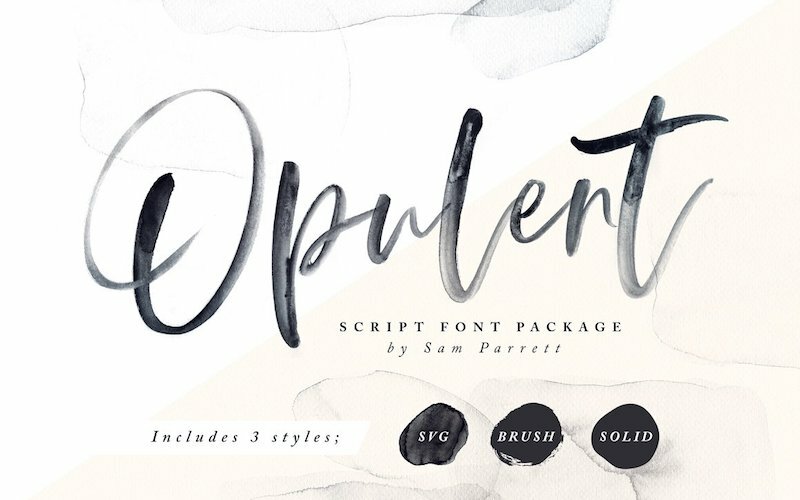 Opulent by Sam Parrett is a family of modern calligraphy script fonts in 3 styles – SVG, Brush and Solid. Opulent SVG font has high definition watercolor texture with transparency built in to its letterforms (see image above) that you can use to re-create stunning hand-lettering with an authentic watercolor effect. 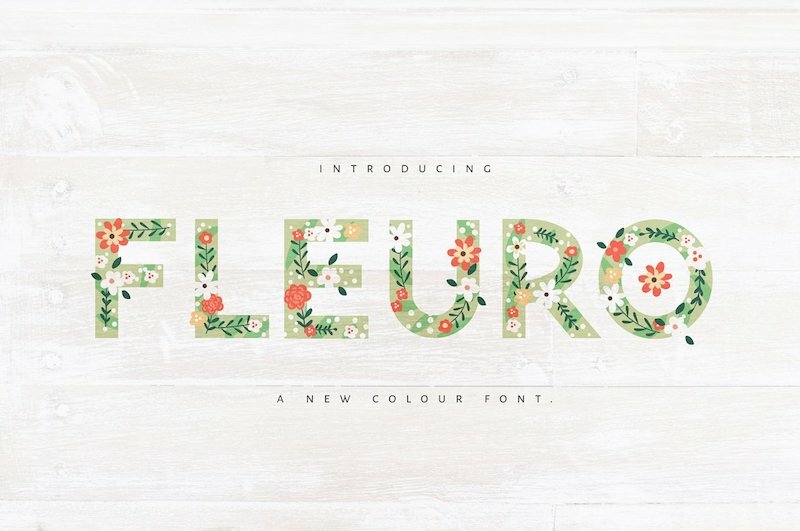 Fleuro by Nicky Laatz is a color vector font with a flowery spring theme. Ideal for logos for boutiques, save the dates, greetings, posters or any design for which you want a pretty floral typography. Fleuro comes with uppercase letters, the lowercase letters provide an alternative variation to the uppercase letters, numerals, punctuations and standard ligatures. 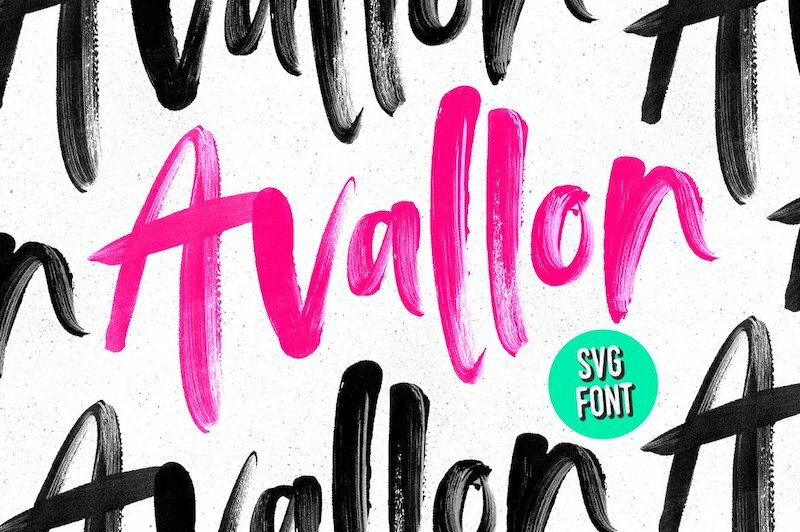 Avallon is an OpenType-SVG brush font with authentic hand-painted brush stroke texture. Designer Sam Parrett has used high resolution brush stroke images for creating paintbrush effect in his bitmap color font. On purchasing, you’ll get 6 font files – Avallon SVG, Avallon Alt SVG (with alternate lowercase characters), Avallon All Caps SVG (set of capital letters) and vectorized TTF formats for all the 3 SVG fonts. 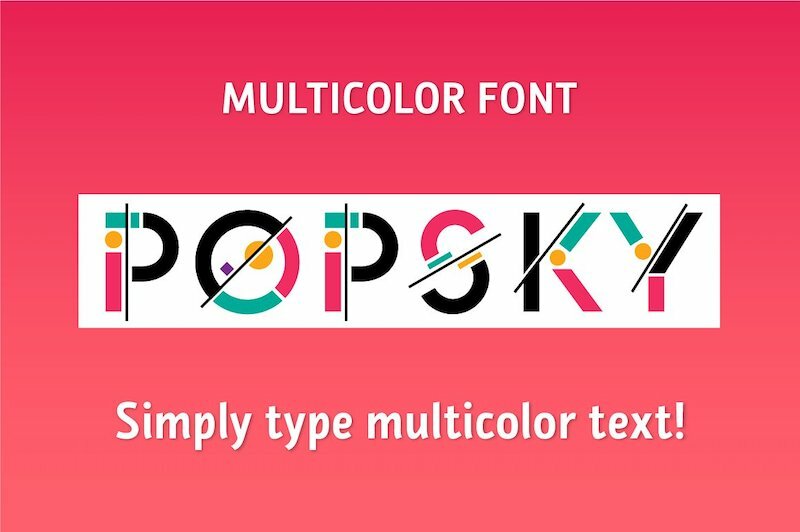 Popsky is a multicolor font made out of geometric shapes. Designed by Igor Petrovic, the font comes in SVG color format as well as in regular OTF format. 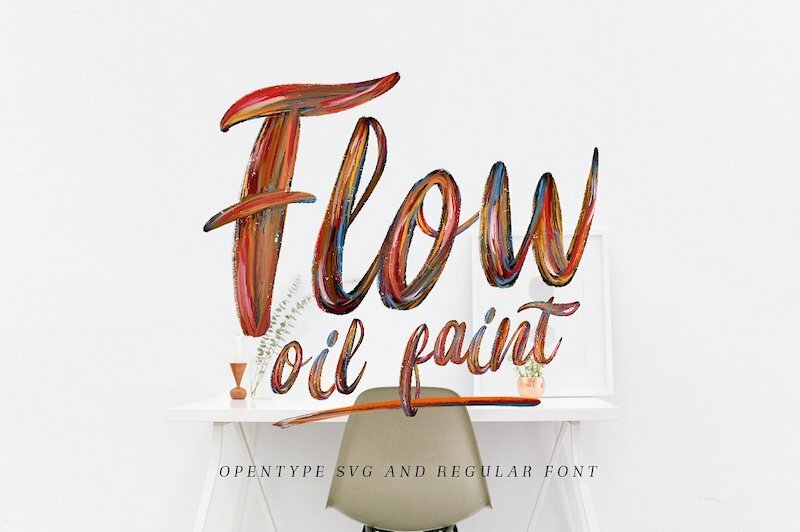 Flow is a bold display font with realistic oil paint effect by bloomxxvvi. It comes in OT-SVG font format as well as regular OTF format. Suitable for digital lettering, logo, poster design, packaging, t-shirt and much more. 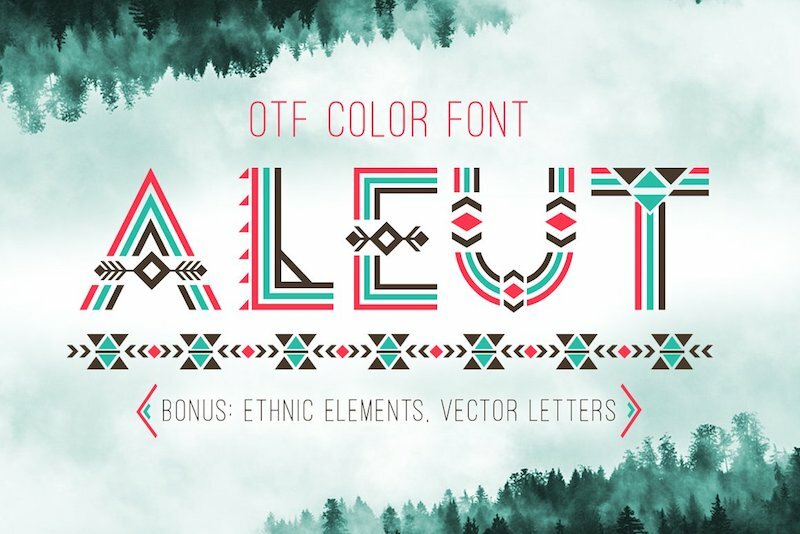 Created by Peliken, Tribal Aleut is an OTF color font with ethnic characters inspired by the culture and traditions of the Aleuts. Each character is made up of geometric shapes, lines and arrows. You can use this font for designing logos, quotes, and t-shirts. 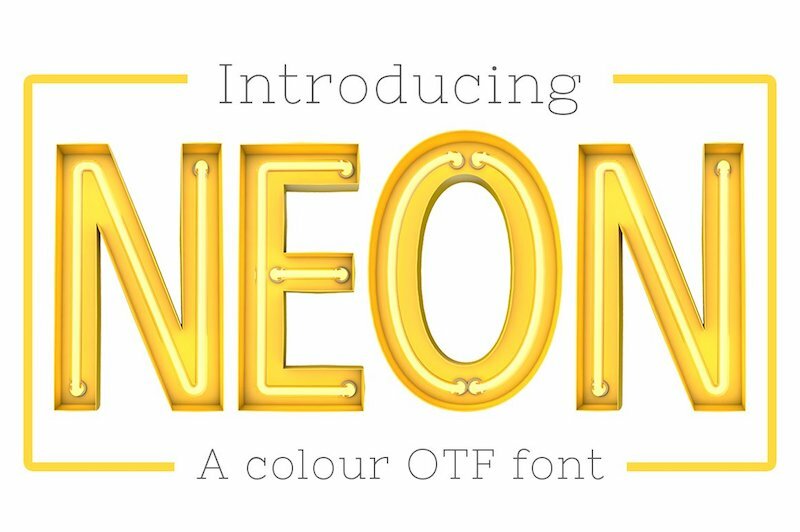 Neon color font is made up of high quality 3D rendered letters that you can download and use to type yellow neon sign lettering. It only includes uppercase alphabets. Font created by Ink Drop. 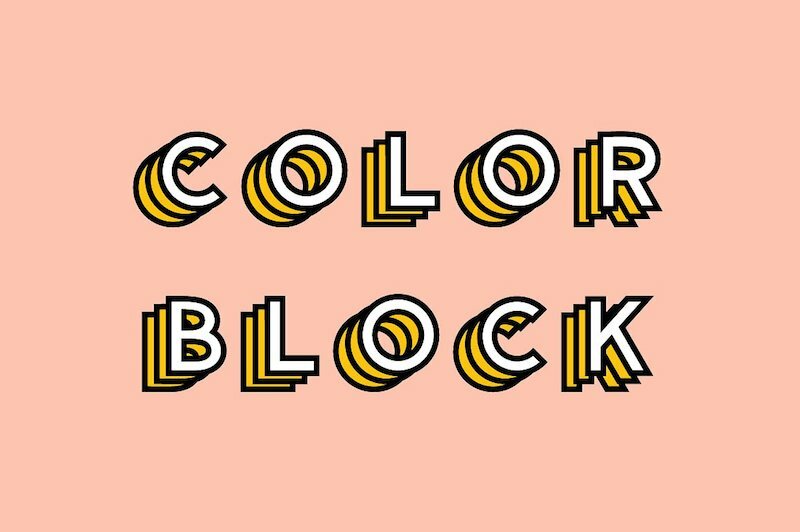 Color Block is a fun, layered style display font by The Routine Creative. It comes with 5 color variations, blue, pink, yellow, red and green, along with an outline version. Color Block includes uppercase letters, numbers and special characters. 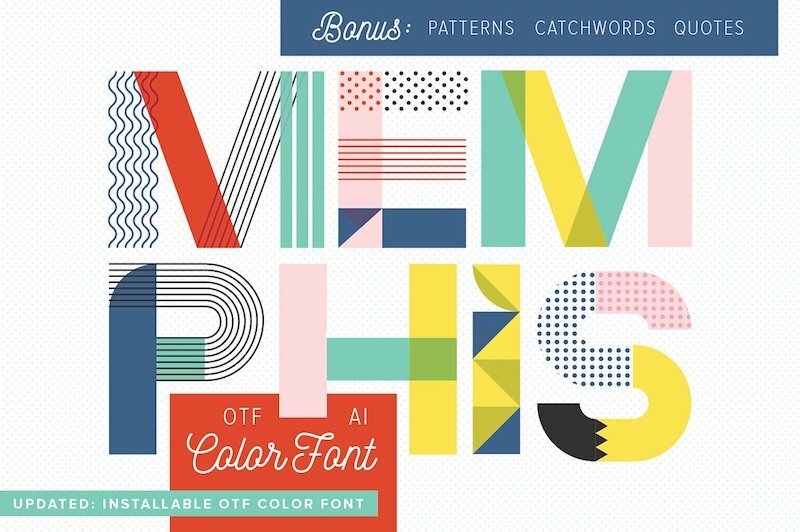 Memphis by Anugraha Design is an 80’s style font that embodies the bold colors and geometric patterns of the Memphis design aesthetic from the 1980’s. Available as an installable OTF color font, it comes with complete set of all capital letters, numbers and punctuations. All the letters are also provided in AI and EPS vector formats. Bonus patterns, quotes, and catchwords are also included with the purchase. Although color fonts were originally invented to support multi-color emoji glyphs, designers have utilized the font technology for creating a range of fancy and decorative typefaces. OpenType-SVG font format has enabled them to bring rich typography effects, that were earlier possible only by using an array of text effects in Photoshop or Illustrator or custom lettering work, right into the font file. 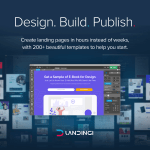 Because of these graphic details, color fonts are best when used moderately as a display type in headlines and titles, drop-caps, logos, app icons and small pieces of text. Fontself is an add-on for Photoshop and Illustrator that lets you create OpenType fonts from your lettering or graphic from within these software. Infact, many of the fonts listed above such as Abelone and Gilbert have been created using Fontself. You can follow this tutorial if you want to create SVG color fonts in Glyphs app for Mac. FontLab also has a step-by-step video tutorial.